Team Angola won the 2008 Chiefs Fall Fling by a score of 6-3. 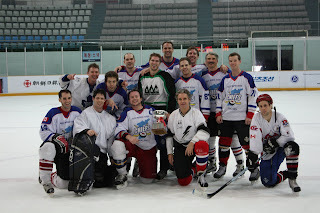 This was another fun successful tourney and we look forward to see who will hoist the cup in the spring. 1、We have excellent customer service team, which could solve online various problems about the Air Jordan we provide in 24 hours. 2、We have perfect Logistics system, which guarantees all the ordered Nike Air Jordan shoes are delivered to you in good shape as fast as possible. 3、We have strong manufacture plant, which are able to provide various models, sizes & colors of Air Jordan shoesranging from 1 to 23 according to what you request.